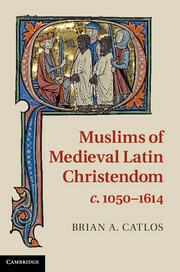 Professor Brian Catlos is the author of Muslims of Medieval Latin Christendom, c.1050–1614. He has spent over a decade living and travelling in Europe, the Americas, the Middle East, North Africa and Asia before completing his PhD (Medieval Studies, Toronto) and joining the History Department at the University of California, Santa Cruz. He is a former President of the American Academy of Research Historians of Medieval Spain, Co-Director of the Mediterranean Seminar, and PI of the University of California Multi-Campus Research Project on Mediterranean Studies.